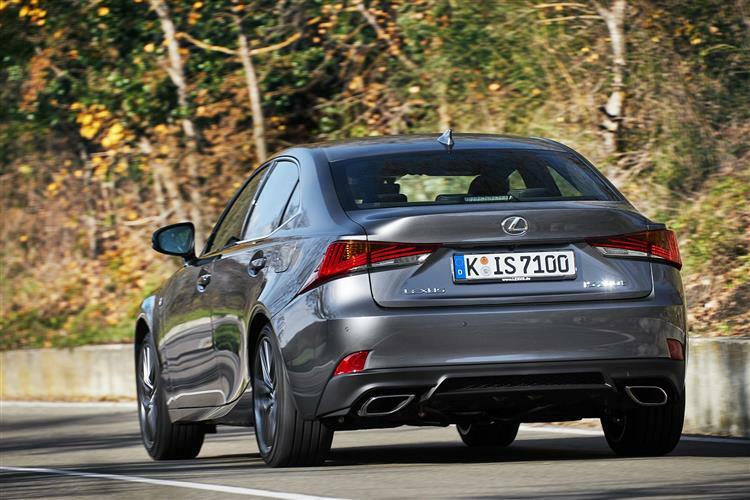 The Lexus IS long had the air of 'under-confident also-ran' about it. You certainly couldn't say that of this improved third generation model. Jonathan Crouch checks out the IS 200t variant. 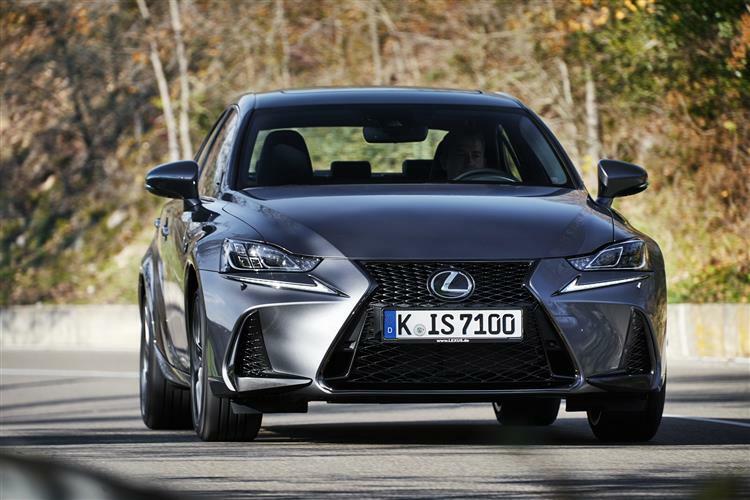 The improved MK3 Lexus IS aims to have what it takes to beat its BMW 3 Series, Audi A4 and Mercedes C-Class rivals. In conventional 2.0-litre turbo petrol IS 200t guise, it can't quite do that - but it's still a desirable thing. It would be easy to list what was wrong with previous generation Lexus IS models. Off the top of my head, I'd nominate the underwhelming diesel engine of the MK2 version, the lack of space in the back, the off-pace emissions and economy figures and interior styling that lacked any great sense of occasion. Yet quality was something the IS had in spades. Deeply engineered quality, rather than merely the superficialities of soft-touch plastics and solid door slam sounds. It was reliable. Well sorted. Thorough. That's not enough to generate the sort of showroom appeal to level with the likes of Mercedes, Audi and BMW though. So when Lexus had a third crack at the IS back in 2013, it came up with something radically different. Something more assertive, which didn't need to try and copy its German rivals. This generation IS is defiantly Japanese and all the better for it. In other words, it's a car that might well have finally come of age, particularly in this improved guise. 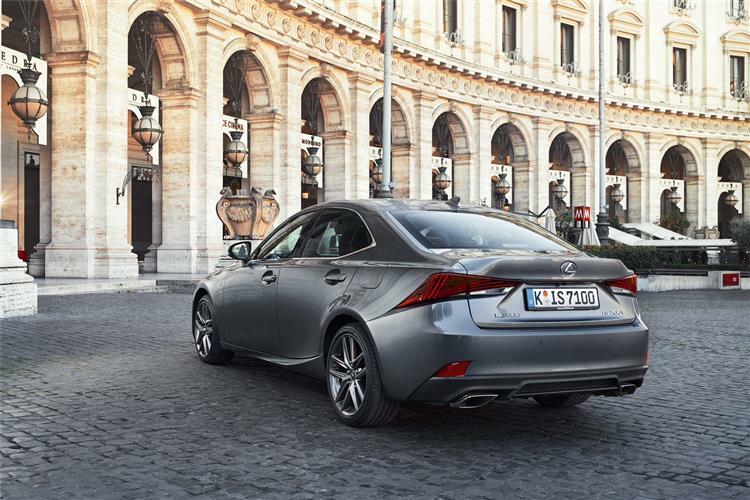 The efficiency merits of the hybrid IS 300h variant are well documented. But how will it fare without these in more affordable but much more conventional 245bhp 2.0-litre turbo petrol IS 200t guise? 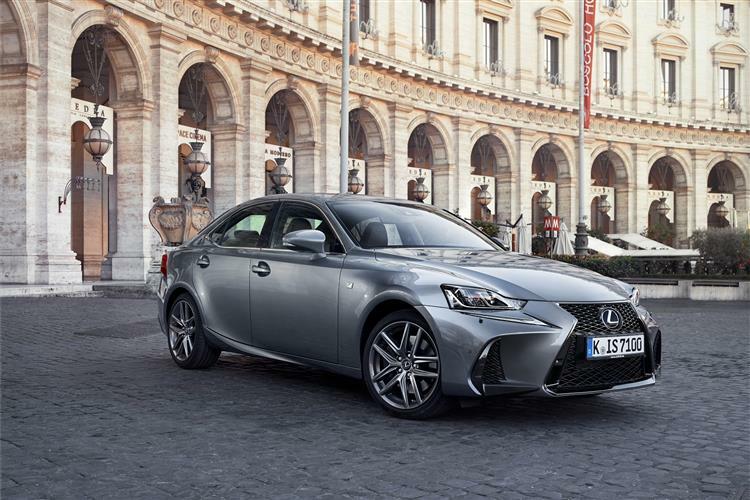 Lexus will offer you a pair of engines in this IS and the more conventional of the two is found in the IS 200t model we're looking at here, powered by a 2.0-litre turbo developing 245bhp and driving the rear wheels via an eight-speed automatic transmission. It's a pleasant enough thing, with decent refinement and crisp acceleration that'll see you to 62mph in 7.0s en route to 143mph - but you'll almost never see one. These days you see, few people buy thirsty petrol engines in cars like this - which is why the UK importers aren't offering the 3.5-litre V6 variant you can buy in the States. It all means that in the UK at least, the IS 200t feels like a bit of a makeweight in the range. Still, you can have a reasonable amount of fun driving it. 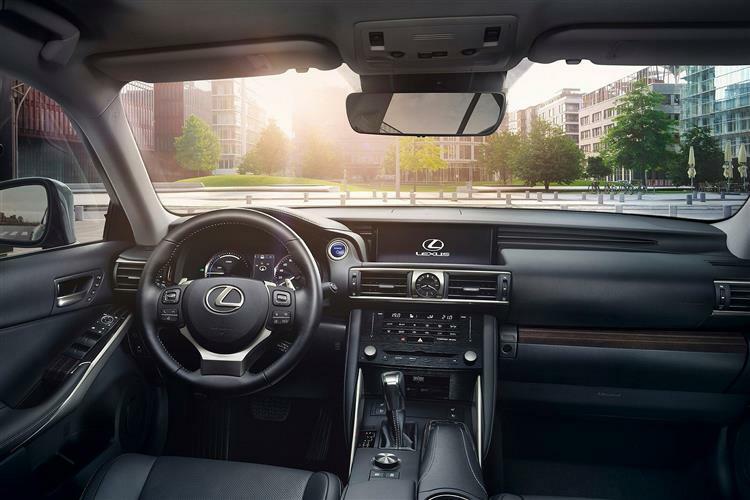 Lexus has made small changes to both the steering and the suspension of this improved model in an attempt to create a more dynamic feel. As before, there's a standard 'Drive Mode Select' system, a set-up that tweaks engine output, throttle response, gearshift times and even air conditioning functionality through four main settings. There's 'Normal' if you want to leave the software to do its own thing but otherwise, you can select 'Eco' (for efficiency), 'Snow' (for slippery roads) or 'Sport' (for performance motoring that comes with the accompaniment of a red-tinged hue on the instrument panel ahead of you). Those likely to want to be selecting 'Sport' on a regular basis are the folk being targeted by a firmer-sprung and more dynamically-inclined F Sport variant. Even with ordinary trim though, I'd suggest this to be the best-handling Lexus I've ever experienced. Developed at the fearsome Nurburgring Nordschliefe, it tackles the bends really nicely thanks to a bodyshell 10% stiffer than that of the previous model and a redeveloped double wishbone front and multi-link rear suspension design that decreases bodyroll by 25%. The IS 200t variant is only offered in top 'F Sport' and 'Premier' guises, which means asking prices that start at around £38,000 and rise to around £39,000. Still, you get lots of equipment for that. The Premier models get auto folding door mirrors, eight-way power-assisted leather seats with heating and ventilation, an electrically operated steering column and some really tasty infotainment functions. These include a 7-inch full hard disk-based sat-nav system with rear view camera and dynamic services and a Mark Levinson 15-speaker stereo with 5.1 channel surround sound. The top F Sport variant meanwhile, gets sports suspension with a lateral damping system, a sports body kit, instrument meters styled on those used by the Lexus LFA supercar, aluminium pedals and F-Sport leather trim for the steering wheel and gear stick. 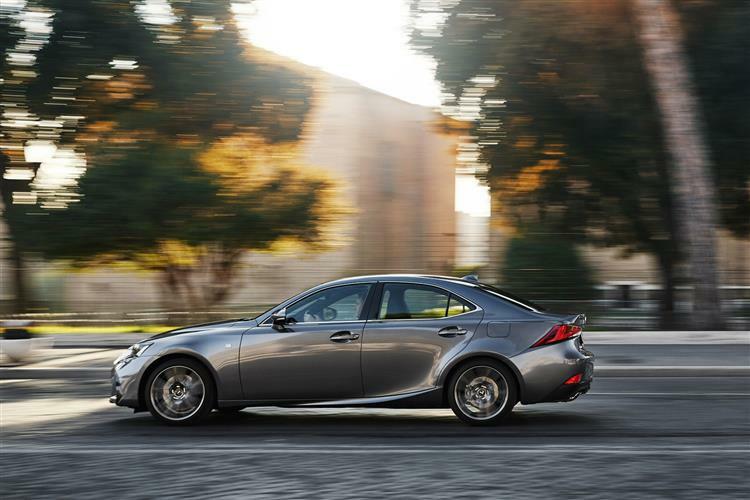 Standard on both derivatives is the 'Lexus Safety System+' portfolio of advanced safety systems. Its features make use of camera and radar sensors to support the driver with improved information, better forward vision and prompt warnings of hazards and collision risks. Plus there's an added layer of protection in the form of autonomous braking for emergency situations. The IS benefits from a Pre-Crash Safety system with pre-crash brake assist and pre-crash braking, Adaptive Cruise Control, Automatic High Beam, Lane Departure Alert and Traffic Sign Recognition. There's also a 'Sway Warning' system. This monitors the vehicle's lane position and driver steering inputs, detecting any sway (deviations) that might be due to the driver losing concentration through tiredness or distraction. In such circumstances, the set-up will sound a buzzer and trigger a warning light in the multi-information display. As we've said, two engines are on offer to IS buyers. Both deliver similar outputs but one costs much more to run than the other. No prizes then, for guessing which unit will mop up the most sales. 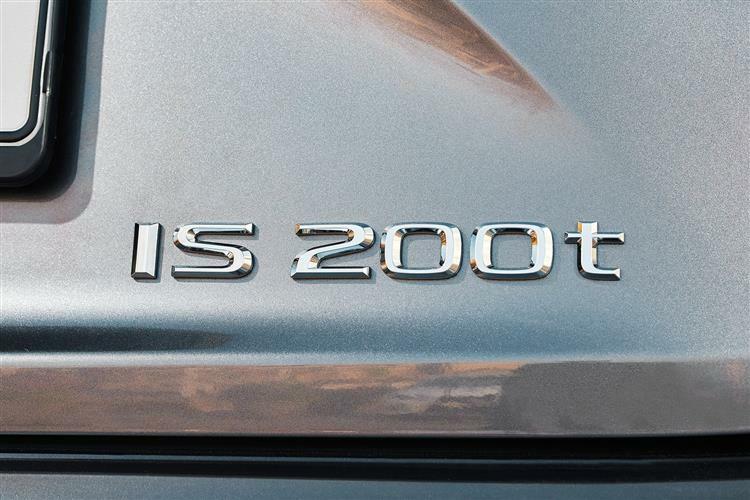 It won't be the 2.0-litre petrol turbo unit you'll find in the IS 200t. This engine may be smooth and much more efficient than the 2.5 V6 of the old IS 250 but its figures - 39.2mpg on the combined cycle and 167g/km of CO2 - still struggle in the modern era. And get worse than that if you choose an upper-spec variant with bigger wheels. Residual values of the IS have always been good, propped up by the model's brilliant reliability and customer satisfaction metrics, as well as modest insurance ratings. This version looks set to continue that form line. 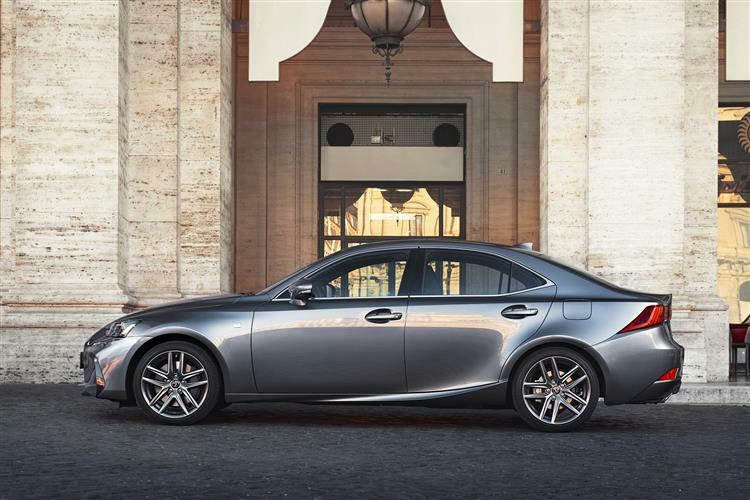 In improved third generation form, the Lexus IS is a more confident car that looks smarter and drives better. Plus, as before, it's very well equipped and beautifully built, with dealer back up which is second to none. None of which will help the IS 200t 2.0-litre petrol turbo variant we've been looking at here be any more than a minority choice when it comes to this car. The running costs see to that. Still, if you're a little jaded with the three main choices in the compact executive saloon sector. In other words, if you simply don't want yet another BMW 3 Series, Mercedes C-Class or Audi A4, then here's a different way to go. It's a choice that doesn't punish you too much for a bit of individuality, whether that be dynamically, financially or merely through having your decision-making called into question. That's what Lexus hopes to have provided with this improved third generation IS. Perhaps there is a fourth way after all.